December 18th in Wordpress Plugins by Wordpress Jedi . Plenty of top recipe sites rely on videos and interactive content to grow their following. 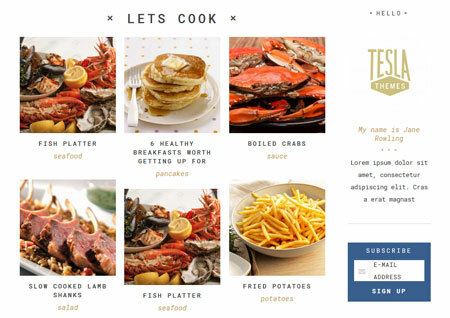 By hosting recipe competitions, you can increase user engagement significantly on your site. Recipe Contest for WordPress lets you host recipe competitions on your site like a pro. September 21st in WordPress Themes by Wordpress Jedi . Coming up with new recipes is a nice talent to have these days. Plenty of people are looking to try new ideas or for inspiration to modify their own recipes. With Boodo, you can bring your own recipe and food shop online with a professional look. It comes integrated with WooCommerce. It also has convenient features like live search and custom widgets. October 20th in WordPress Themes by Wordpress Jedi . 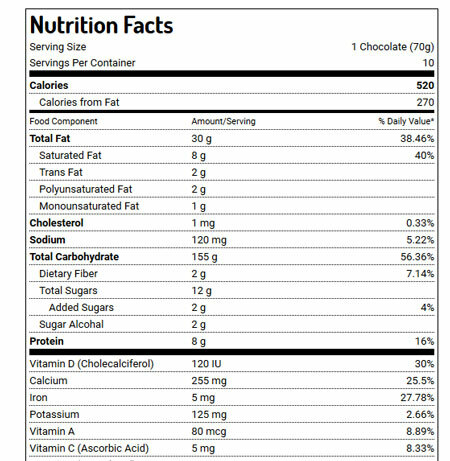 There are plenty of awesome recipe sites available online these days. If you have unique recipes to offer, there is no reason you shouldn’t start your own recipe site. 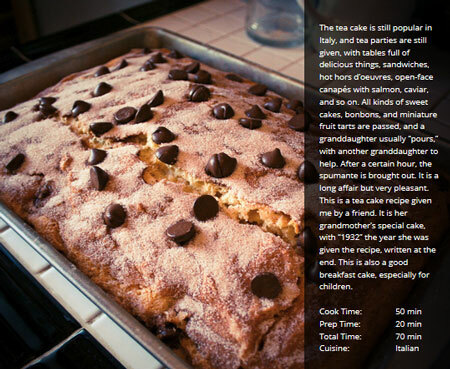 We have already covered plenty of regular and social recipe site themes here. Salt and Pepper is an elegant recipe theme with filters, ingredient list, and everything you would need to provide more value to your visitors. September 12th in Wordpress Plugins by Wordpress Jedi . There are plenty of awesome food recipe communities and blogs online these days. If you have unique recipes to offer the world, there is no reason you shouldn’t start and grow your own site. 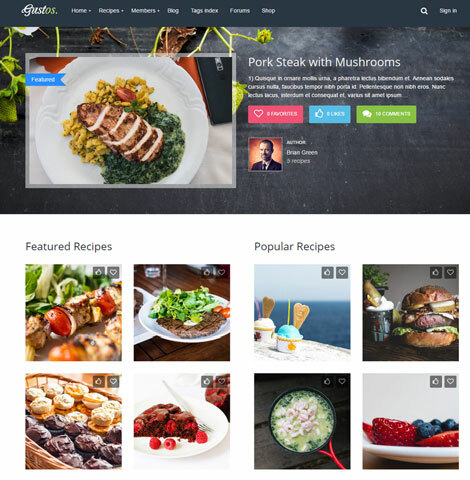 We have already covered plenty of themes and plugins that let you share and showcase your best recipes online. WP Ultimate Recipe for WordPress is a handy plugin that lets you add recipes to your posts and pages in a clean fashion. 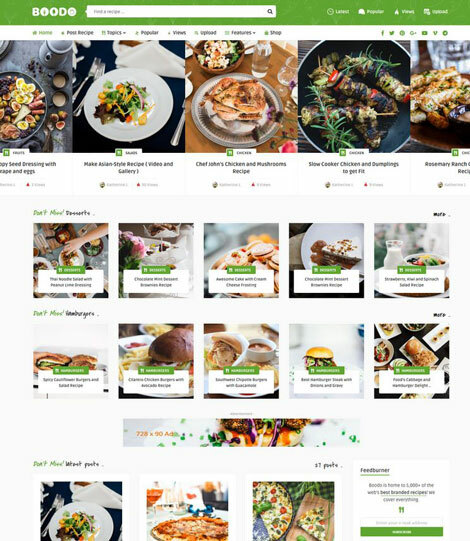 In the past few years, we have covered plenty of themes and plugins that lets you create a food blog and share your recipes with the world in an attractive fashion. Gustos helps you take your site to the next level. It lets you build a community driven recipe site with support for front-end submissions. July 13th in Plugin Lists, Wordpress Plugins by Wordpress Jedi . 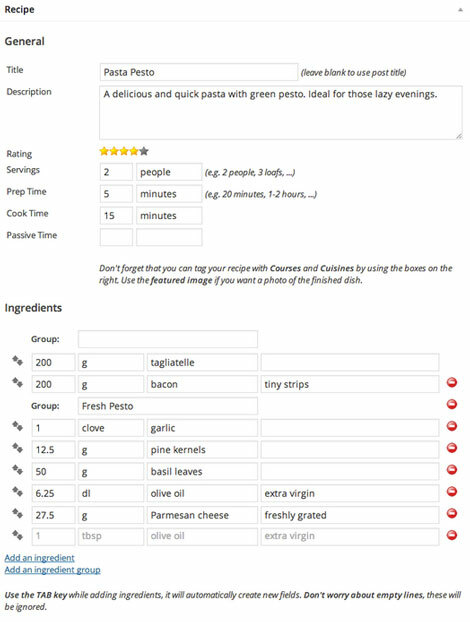 Recipe Box: a premium recipe plugin with tens of customizable options. It has a responsive design and built-in review system.